Imagine holding your wedding day on New Year’s Eve – your celebration would be both the last and first of the year! Everyone is already in the mood for a party! Just think about the countdown, the midnight kiss, all the glitter, sparkles and the opulence that a wedding on that special day can bring. Plenty of bubbly to celebrate both the happy couple and the new year, and of course a bar that opens till late; people are in the mood for an all-nighter when it comes to New Year’s Eve, and when combined with a wedding, expect the party to continue into the wee hours. Be prepared for some very thirsty guests! The dance floor is always prominent at a wedding, but on New Year’s Eve everyone will be doubly keen to dance the night away. It’s your night, so be sure to include some of your favourite tunes, but remember include plenty of crowd favourites. And why not incorporate a masquerade theme, with masks at everyone’s table, for an added element of New Year’s Eve fun. Sparklers for everyone. 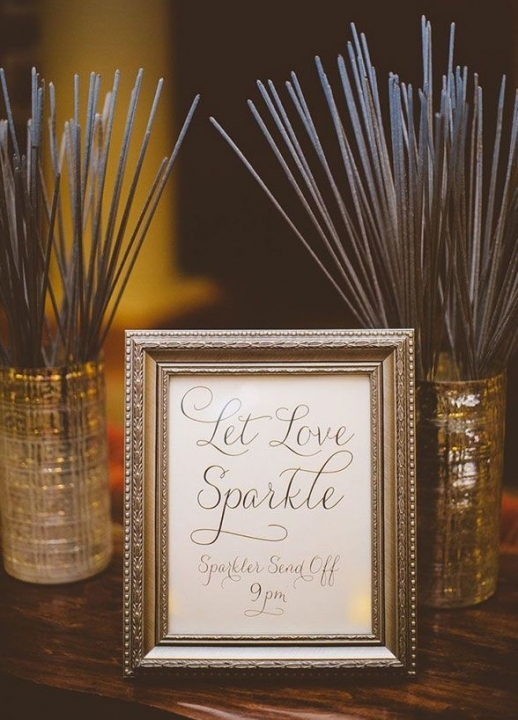 Everyone loves a bit of magic on such a special night and sparklers are the perfect accessory for an unforgettable event. Glitter and sequins. What else do we need to say… sequinned wedding dress anyone? But if you don’t feel that brave, perhaps some tablecloths with sequins, glittery flowers and centrepieces. And, of course, a plan for the countdown! Perhaps a large clock as a part of a gallery wall or main centrepiece so everyone can keep an eye on the time, or you could place smaller clocks on each table. Have someone with a microphone (perhaps the DJ) ready to start the countdown. 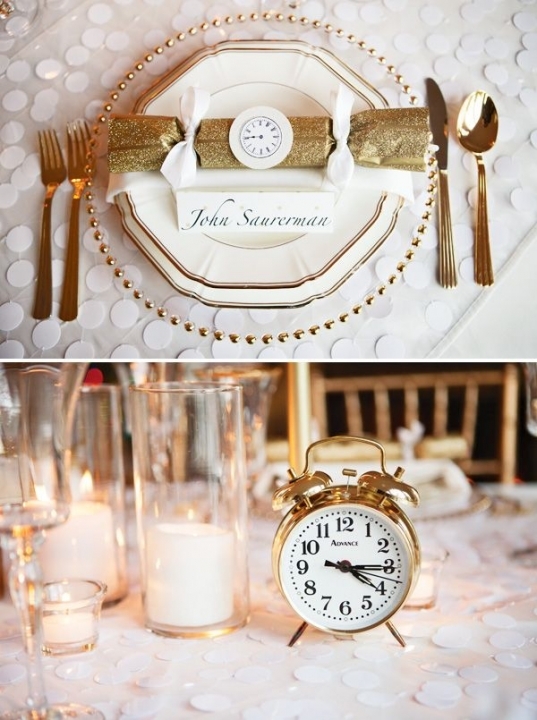 Are you planning your own New Years Eve wedding? Or have you ever been to one? We’d love to hear from you!